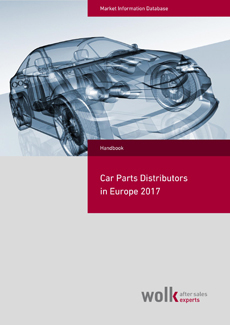 The Largest Car Parts Distributors in Europe 2017 handbook provides a concise overview of Europe's largest independent wholesaler of car parts. 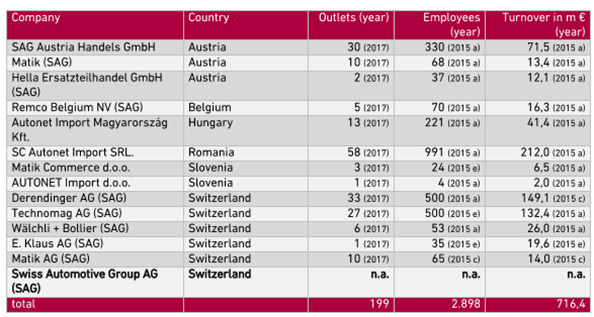 Of the 40 mega-distributors featured in our recent "Car Parts Distributors in Europe" report, there are 39 left in 2017. 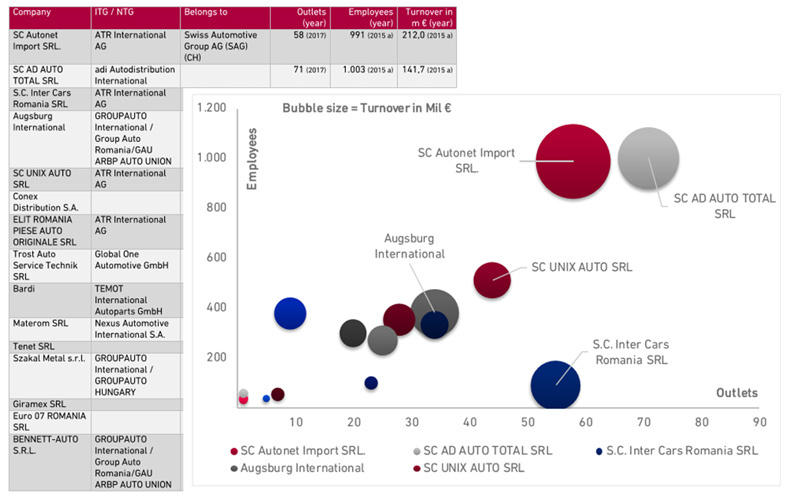 5 of these distributors have crossed the 1 billion euro mark, one approaches the 5 billion euro mark. 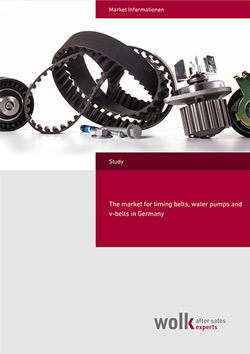 Concentration in the parts trade is progressing rapidly and globalization is also expanding. 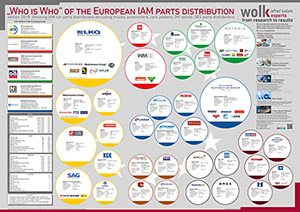 In addition to the American group LKQ Corporation, there are now two other North American companies active in Europe, the American Genuine Parts Company (GPC) through the acquisition of the British-French Alliance Automotive Group and the Canadian distributor Uni-Select through the acquisition of the British Parts Alliance Group. 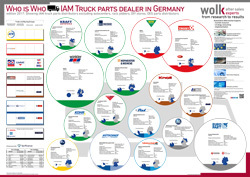 A separate view presents the largest parts wholesalers with their international relationships, listing all the relevant companies including sales, number of outlets and employees belonging to each company. 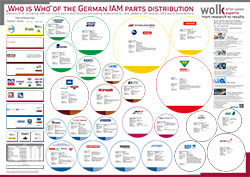 In 35 countries, the largest component wholesalers are presented with their company profile. 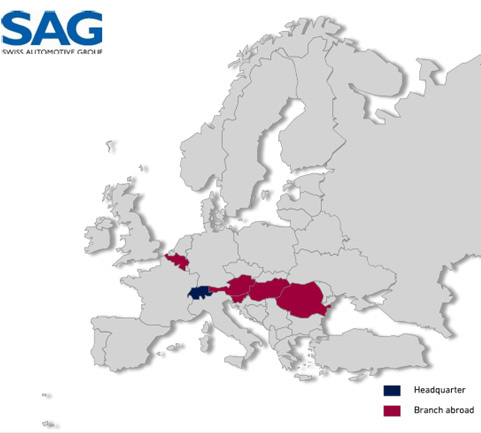 In addition to contact details and sales figures, the profile includes membership in trade partnerships and the use of workshop or trading systems. In the fourth edition, the number of companies presented has been increased to 480. All prices are net prices. Customers in Germany have to pay 19% taxes. Selling to private persons is not possible. How does the flippingbook look like? 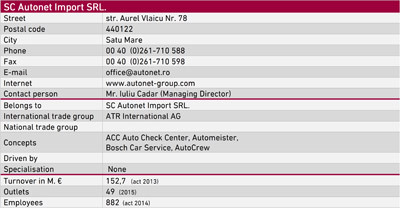 Please take a look at our example report. Can I print the flippingbook? It is possible to print single pages, but not the complete report. Can I download the flippingbook? No, due to copyright reasons it is unfortunately resrtricted. Therefore we offer the printed version. Sign up for our Newsletter to get the latest information about news in the Automotive Aftermarket and products / services of wolk after sales experts.